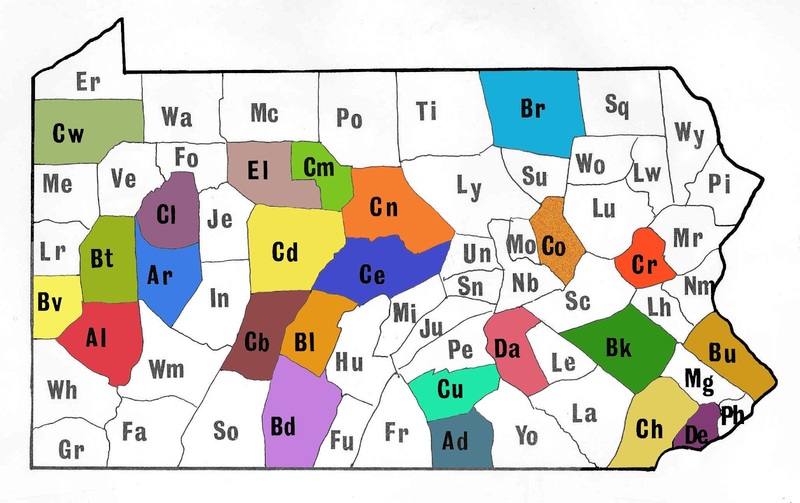 This week our county by county archaeological heritage tour takes us to Franklin County in the South Central region of the state, on the Pennsylvania/Maryland border. This area has been occupied for thousands of years as indicated by the recorded archaeological sites in the Pennsylvania Site Survey (PASS) files. There are 773 square miles in Franklin County with a significant number of sites recorded, 434, which equates to one site for every 1.175 square miles. Fifty-eight percent of the sites for which dates could be determined were assigned to the Middle Archaic through the Transitional period (2,700-9,000 years ago. The other concentrated time-period is the Late Woodland (450-1,100 years ago) for which fifty-nine sites or thirty-nine percent of the sites were designated to this period. What drew prehistoric peoples to this area as early as the Paleoindian Period (10,000 – 16,500 years ago)? Let’s take a closer look at the environment of Franklin County. Located within the Valley and Ridge Province, and more specifically the Great Valley Province it is part of a 900- mile corridor extending north to south (New York to Alabama). Several foot paths pass through the county, including the Tuscarora Path. 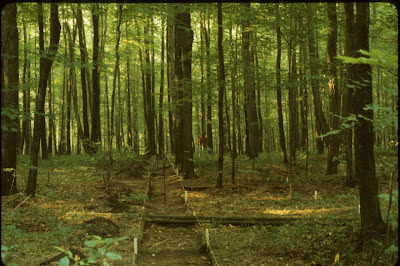 The Tuscarora Path is believed to have been utilized by the Tuscarora Indians when they relocated from North Carolina to Pennsylvania and into their present homelands in western New York. The Conococheague Creek flows into the Potomac River just over the state line in Williamsport, Maryland. Known for its trout and bass fishing today, this stream and others provided a food source for prehistoric peoples as well. Forests comprised of oak, chestnut, hickory, pine, elm and beech provided shelter for bear, deer, turkey and other food sources such as nuts and berries. Finally, raw material for the production of stone tools is an important factor in determining prehistoric settlement. 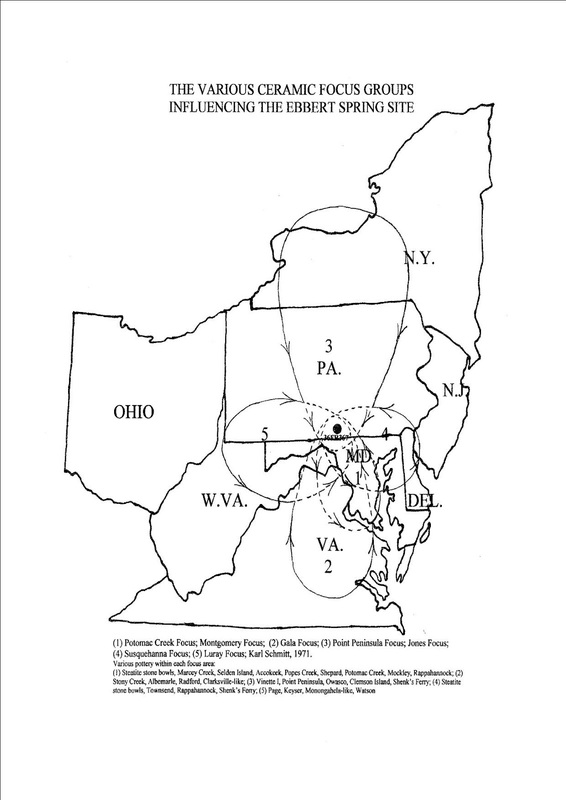 In Franklin County, at least one chert quarry has been identified but the largest source of raw material is the Catoctin metarhyolite quarries located along the border with Adams County. These quarries were used heavily beginning over 9500 years ago during the early Archaic period and metarhyolite from these quarries is found in almost every county in the Commonwealth. All of these attributes were important elements in Native American lifeways and contributed to the early settlement of this area. 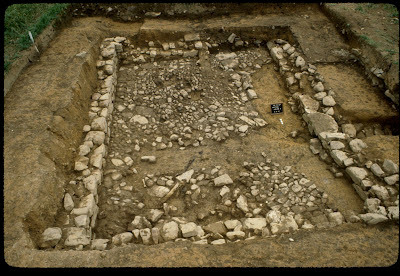 Archaeology conducted in the late 1990’s for a waterline project by Ecoscience, Inc. at Antietam Terrace site (36Fr357), yielded five fire cracked rock hearth features containing both carbonized and uncarbonized remains which were further analyzed. Radio carbon testing of carbonized materials produced dates ranging from the Archaic Period through the Contact Period, approximately 450 years ago. Carbonized botanical remains included huckleberry and pine seed, oak, buckeye, Osage orange, and willow/cottonwood, and pine charcoals were also recovered. Osage orange wood was and is used for bow making and for yellow dye. This sample was recovered from the charred remains of feature 5 which was carbon dated to 1425-1650 AD. Native range of growth is far south of here though in Oklahoma, Texas and Arkansas, although it has been introduced and has adapted to other environments across the United States, including Pennsylvania (C. Johnson personal correspondence 2012). Its presence here indicates it was acquired through long distance trade. Uncarbonized remains from a Late Woodland feature produced a variety of plant seeds including strawberry, raspberry, elderberry and grape. Mint was also identified in one of these features. Tool making activities were also evident in some features in the form of flakes and debitage of quartz, metarhyolite, jasper and chert. Archaeologists surmised that this was a multi-component site where multiple activities occurred. 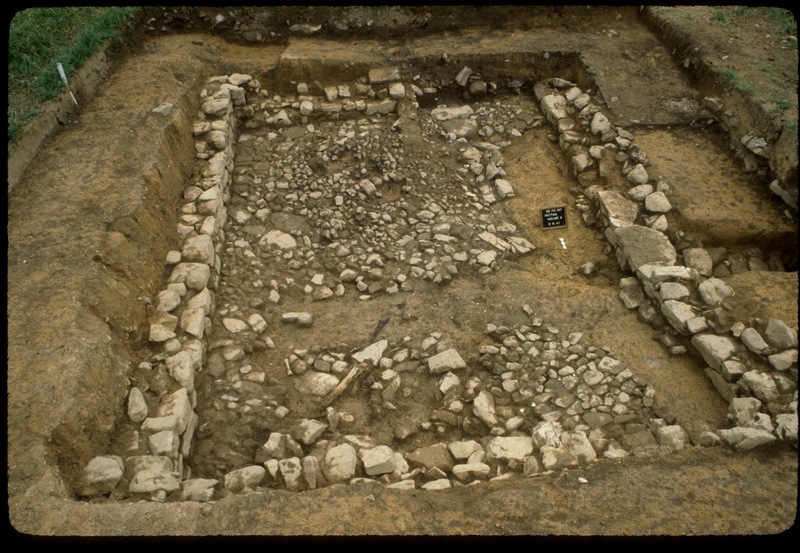 Three distinct areas of activity were defined; tool maintenance and recycling, lithic waste sweepings or dump area, and a habitation area devoid of waste materials. One feature was also identified as a possible production area for dugout canoes. Rhyolite adzes and picks found in this area along with an elongated deep pit which allowed for slower burning were pointed to as indicators of canoe production activities. The archaeology conducted at this site provided valuable information in understanding prehistoric activities in the area. Members from Chapter 27 of the Society for Pennsylvania Archaeology (SPA) have been conducting an investigation at Ebbert Spring (36Fr367) since 2003 and have also recovered evidence of activities from the Paleoindian period through the Late Woodland period. A detailed analysis of the pottery recovered was prepared for publication in the SPA journal (SPA Vol. 80, No. 1) by Ron Powell, a member of this chapter. Powell identified pottery from multiple cultural time periods indicating repeated episodes of camp use at Ebbert Spring. The earliest vessel forms identified were steatite or soapstone fragments dating from the Late Archaic/Transitional period. Additional pottery fragments dating from the Early Woodland (2,100 to 2,700 years ago) through the Late Woodland were examined. Powell recorded attributes from 14,796 sherds examining traits such as temper, cordage twist, and surface treatment in identifying the culture groups represented. This is an excellent example of a professional level excavation being conducted by avocational archaeologists. This chapter is to be applauded for their excavation methods, analysis and timely reporting of their findings. This environment that had supported prehistoric peoples for thousands of years also appealed to Europeans who began settling in Franklin County by the 1730’s. Early roads were established and activities such as farming began to emerge. Farming created the need for mills to process grains and roads to transport these goods. By 1755 when Colonel James Burd was commissioned to open a military supply route from Carlisle westward to Fort Duquesne (present-day Pittsburgh), a portion of road was already in place from Shippensburg (Cumberland County) to the area of St. Thomas, Franklin County . 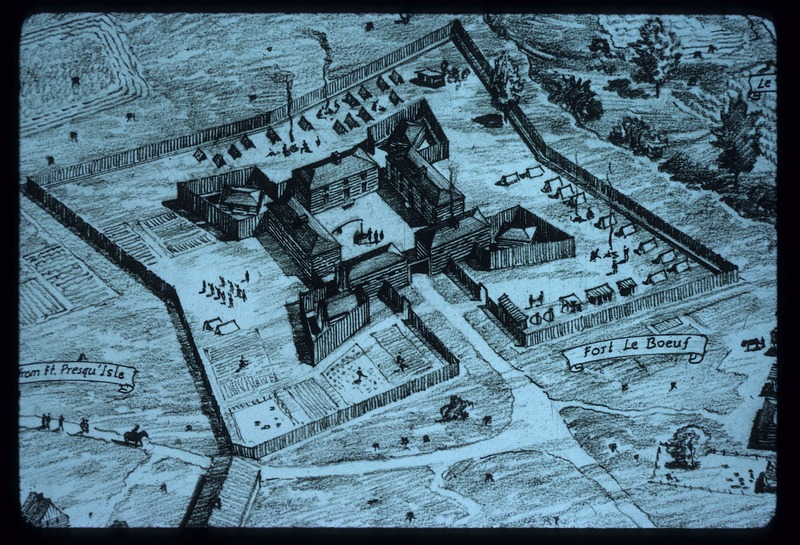 The British plan to control a fort at Pittsburgh was squelched by the French defeat of General Braddock at Fort Duquesne, but this event only prompted further action by the British to establish additional forts along the western frontier. Fort Loudoun was constructed in 1756 as a provincial supply fort, the southernmost fort in a line of defense erected that year at the base of the Appalachian Mountains. Fort Loudoun was established on the abandoned farmstead of Matthew Patton, whose house and barn were destroyed in Indian raids in 1755. Patton had begun construction of a new home which was not burned in the raids and was utilized by Colonel John Armstrong in erecting suitable quarters for men and supplies at Fort Loudoun. Archaeology conducted by the Pennsylvania Historical and Museum Commission in the late 1970’s and early 80’s uncovered portions of Patton’s unfinished house, used by Armstrong, which had been filled with fort period artifacts. Further archaeology revealed a line of wooden posts and a gap in post line indicated the location of the gate. Also discovered was Patton’s original house identified by the charred remains and pre-fort period artifacts. The excavations also uncovered a well in the southwest corner of the fort. This well provided a protected source of drinking water for the troops and was an important component of 18th century fort construction. 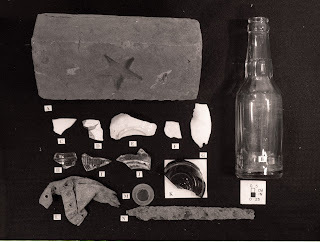 Artifacts recovered from the well indicate that filling occurred shortly after the fort was abandoned in 1765. Analysis of these artifacts provided a clearer picture of the daily activities of soldiers in the fort. The wet environment of this well helped to preserve organic materials such as a wooden bucket, leather shoe parts, and wooden tools. 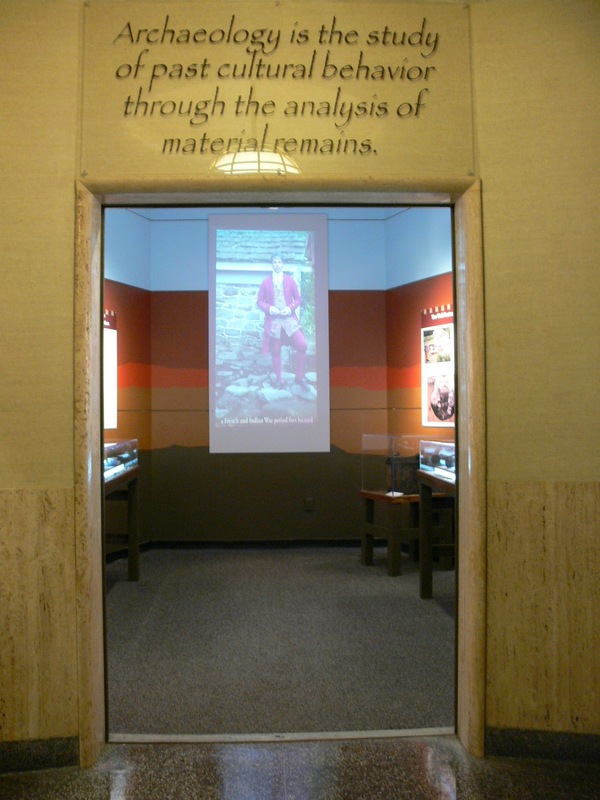 You can see the wooden bucket currently on display at The State Museum of Pennsylvania on the second floor in our exhibit about the archaeology being conducted at Fort Hunter Mansion and Park. Speaking of Fort Hunter, next week we will begin transporting equipment and preparing the site for our annual excavation at this French & Indian War period site. This year we will continue excavating the well and are hopeful that we will recover artifacts dating to the fort’s occupation. The public is invited to stop by and check out our progress, we excavate from 9 to 4, Monday through Friday- weather permitting. There are two public event days on the weekend where we are also on site these dates are September 16th and October 7th. We hope you can come out for these events and support the archaeology of our community. If you can’t stop out to Fort Hunter to see us, maybe you can come to City Island this weekend and sit in the dugout canoe. Archaeologists and volunteers from the Archaeology Section of The State Museum, the folks who write this blog, will be on hand with our dugout, stone tools used in creating this marvel, and an exhibit of the artifacts excavated in the 1990’s on City Island. This is your chance to sit in an authentic replica of a Native American dugout canoe and view the spectacular projectile points recovered in these excavations. We can be found on the back side of the baseball stadium near the Native American Pow-Wow festival. We hope you have enjoyed this trip through time into the archaeology of Franklin County and that you will continue to support our activities as we work to preserve our past for the future. Bulgrin, Lon E., M.A. and JoEllen Burkholder, M.A. Phase III Mitigation of the Washington Township Proposed Municipal Authority Waterline and Treatment Plant Site. The Antietam Terrace Site, 36Fr357, Franklin County, Pennsylvania, July, 1997. 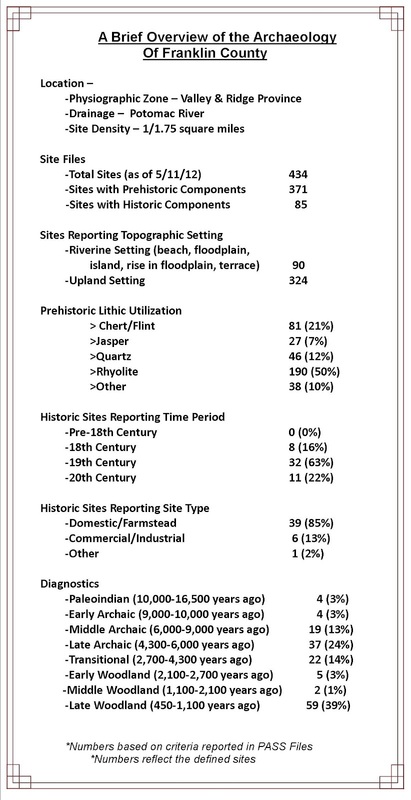 Prepared for Washington Township Municipal Authority, Waynesboro, PA. Report submitted by Ecoscience, Inc.
An Analysis and Study of Prehistoric Pottery Found at The Ebbert Spring Site- 36Fr367. Unpublished manuscript on file at The State Museum of Pennsylvania. 2010. Historical Archaeology at Fort Loudoun, video script on file at The State Museum of Pennsylvania, 1991. This week, our travel through the archaeology of Pennsylvania takes us to Forest County located in the northwestern section of the state. This county is situated in the High Plateaus Section of the Upper Allegheny drainage basin. The region is generally mountainous and the current population is very low. It is known as a rural vacation area and almost 75% of the existing dwellings are vacation homes. There is a relatively small number of sites recorded for the county (n=139) but this represents a relatively high density (n=1/2.91 square miles). Much of the county is within the limits of the Allegheny National Forest where the extensive forest cover limits surface collecting and the recordation of sites. The main waterways are the Allegheny and the Tionesta and numerous of are recorded on thei floodplains. However, over half of the sites are in upland areas and many of these are rockshelters (n=33). In contrast to most counties, where prehistoric sites outnumber historic sites, in Forest County they are evenly split. The historic sites primarily date to the late 19th century or the 20th century. Most of these are industrial sites (sawmills, oil wells and railroad related sites) reflecting the logging industry or more commonly the oil industry. Nineteen surveys have been conducted in compliance with state and federal historic preservation laws and over 50% of these were on Allegheny National Forest property. These resulted in the management of twenty sites, most frequently related to the logging or oil industries. Excavating shovel test units during a Phase I survey conducted by Skelly and Loy, Inc at the Tionesta Lake Outflow Campground project. 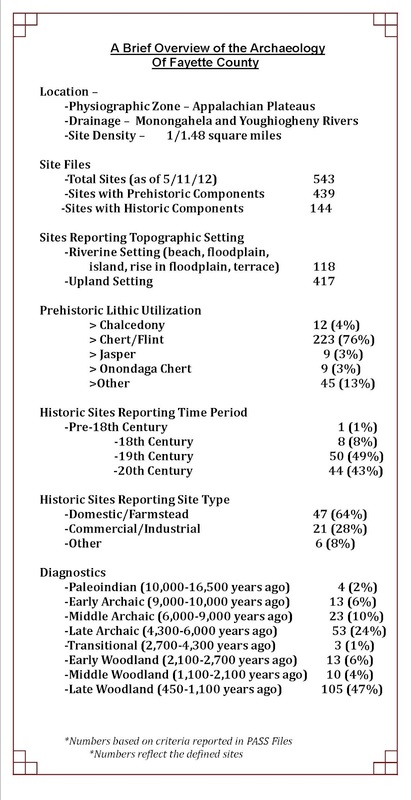 Sites dating to all prehistoric time periods have been recorded in the PASS files, unfortunately only 24% of the prehistoric sites have been assigned to a specific time period. The two Paleoindian sites are along the Allegheny River. One of these (36Fo65) is in a stratified setting which is very rare for Paleoindian sites (there are only four other stratified Paleoindian sites in the Commonwealth). The upper levels produced Late Prehistoric pottery and Intrusive Mound culture artifacts but the artifacts had been disturbed by later activities. The lower soil strata were well stratified and contained a late Paleoindian assemblage of tools that had probably not been disturbed for at least the past 10,000 years. Across a small creek from this site was a second stratified occupation (36Fo66). This produced an Early Archaic projectile point but it was recovered from an eroding stream bank. The well stratified portions of this site contained Late Archaic and Early Woodland components. The Early Woodland component included a Forest Notched projectile point, a quantity of Half-Moon pottery, a fireclay pipe preform, a sandstone tubular pipe and a drilled stone pendant. All of these artifacts are typical of this time period and represent the Transitional period equivalent in the upper Ohio Valley region of the Commonwealth. Both of these sites were archaeologically tested by Andrew Myers (Archaeologist, Lone Tree Archaeology and Environmental, Inc). One of the more spectacular sites from the stand point of numbers and varieties of artifacts is the Siggins site (36Fo1) situated on a wide floodplain of the Allegheny River. It has produced artifacts from Early Archaic through Middle Woodland times. 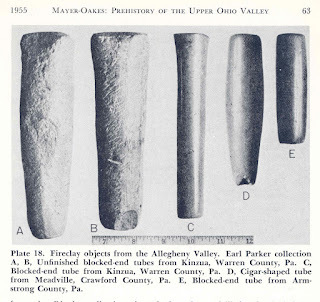 These include, Kirk Corner-Notched points, bifurcate points, Brewerton points, Forest Notched points, Ashtabula points, Adena points, blocked-end fireclay tubular pipes, copper artifacts, Flint Ridge chalcedony blades (probably dating to the Hopewell period), platform pipes, and gorgets. Interestingly, the definition of the Forest Notched projectile point type is based on the Siggins site. The Forest Notched point type was defined by William Mayer-Oakes in 1955 when he reported on an early survey in the region. Later, Richard George of the Carnegie Museum conducted additional analyses of this point type and defined it as an expanding stemmed projectile point with “gracefully executed curving shoulders”. 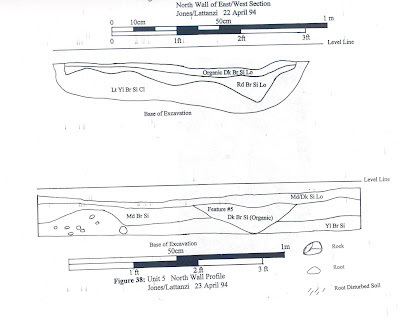 This point type was radiocarbon dated at other sites to between approximately 2500 BP and 3100 BP. 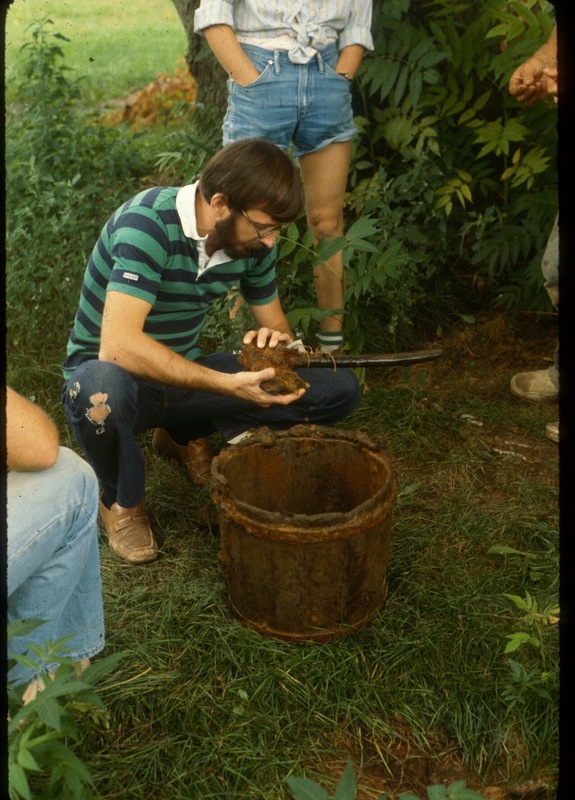 Mayer-Oakes also recorded a large number of tubular fireclay pipes at Siggins and other Forest County sites. Fireclay is a soft, shale-like rock that is easily carved and was extensively used beginning as early as Late Archaic times. Mayer-Oakes reported a large number of tubular pipes from the region and some were unfinished. Traditionally, fireclay supposedly originates near Portsmouth, Ohio but Mayer-Oakes speculated that there was a local source for this raw material. Forest Notched projectile points, tubular pipes, and Half-Moon pottery are an interesting assemblage of artifacts but their cultural context is not well known. They are clearly contemporary and related to the Fishtail Complex of the eastern Middle Atlantic region and seemingly represent the local manifestation of this time period in the Upper Ohio Valley. However, the dates for this complex of artifacts overlap with the Adena Mound builders and Adena artifacts are sometimes found with Forest Notched points. The Fishtail Complex in eastern Pennsylvania is clearly a different culture/adaptation than the Adena Complex concentrated in Ohio and Indiana. Were Adena people using Forest Notched points? is Adena a separate culture from the people who made Forest Notched points? Was there a local population who borrowed traits from both of these cultures? This is a very dynamic period in Native American prehistory and we may never understand the true relationship between these two groups. We hope you have enjoyed this short overview of Forest County and that this will inspire an interest in recording and preserving the archaeological sites in your community. 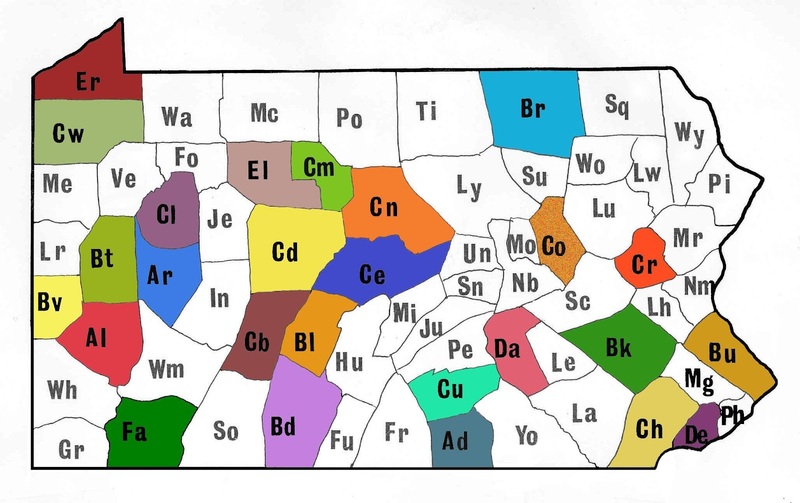 These resources are Pennsylvania’s heritage and for all of us it is our window into the past. Help us to protect and preserve these archaeological resources which are crucial to our understanding of the past. 1998 The Early Woodland Thorpe Site and the Forest Notched Point. Archaeology of Eastern North America. 26:1-33. 2012 Preliminary Alluvial Geoarchaeology of 36Fo66 Indian Camp Run2), Forest County, Pennsylvania. 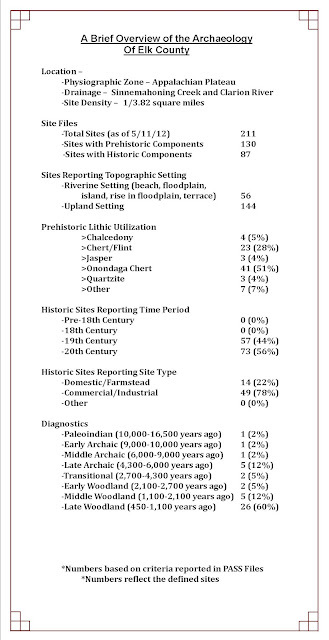 Pennsylvania Archaeologist 2(1):32-46. 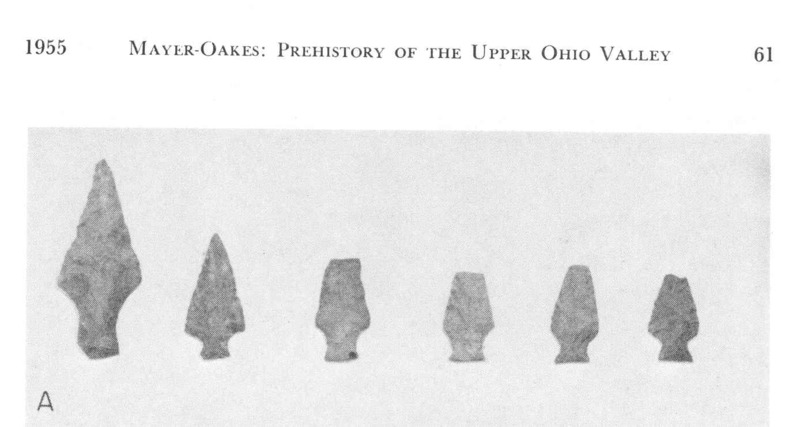 1955 Prehistory of the Upper Ohio Valley; An Introductory Archaeological Study. Anthropological Series, No 2. Annuals of Carnegie Museum 34, Pittsburgh. 2007 A preliminary Report of the Paleoindian Assemblage from Indian Camp Run No. 1 (36FO0065). 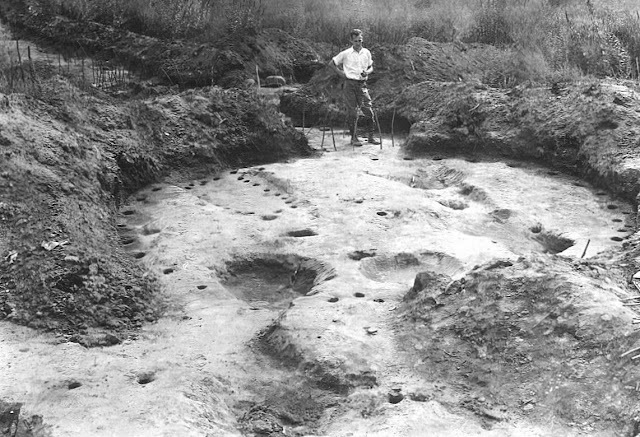 Pennsylvania Archaeologist 77(2):1-33. Our travel through the archaeology of Pennsylvania takes us to Fayette County this week in the southwest corner of the state. 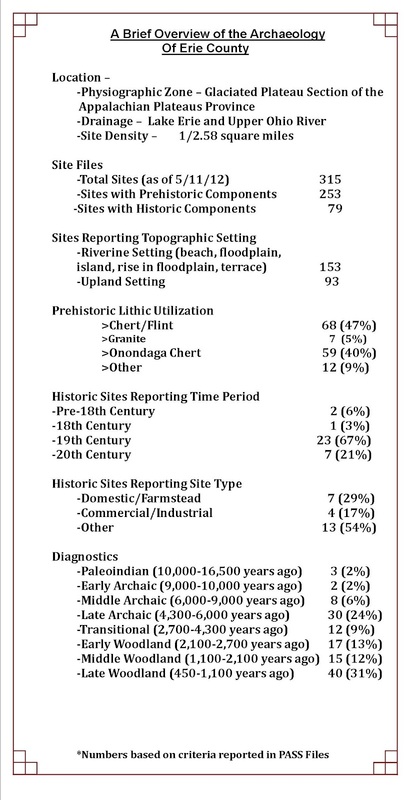 A relatively high number, 543, archaeological sites have been recorded in this county in the Pennsylvania Archaeological Site Survey (PASS) files. 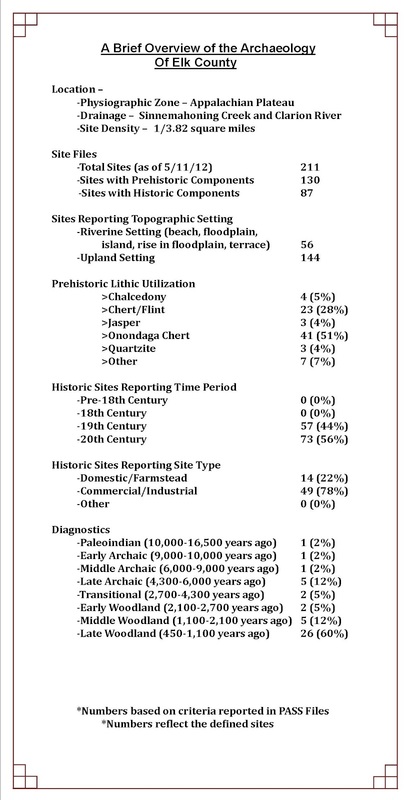 Eighty percent of the recorded sites are prehistoric, with the majority occurring in upland settings. Archaeological evidence in this region supports dates for human occupation as early as the Paleoindian Period (16,500-10,000 years ago). The Paleoindian landscape was primarily composed of pine and hemlock forests which supported large fauna such as deer, caribou, elk and bear. Gradual warming allowed these forests to change and regenerate into a mixed hardwood forest of oak-hickory hemlock-beech assemblage. The change in forest composition improved the support capability for smaller fauna and new flora, which could sustain an increase in occupation. Increases in population and the transition from hunters and gatherers to an agricultural society through time are evident in the archaeological record. Neither Martin nor Phillips was completely excavated. However, the Martin site is currently under the waters of the Youghiogheny River, it cannot be studied. The highway that threatened the Phillips site was never built, but the site was later destroyed by a strip mine. Fortunately, extensive collections of field records, correspondence, photographs, and archaeological material were preserved from both sites. These are held by the Division of Archaeology at The State Museum of Pennsylvania. 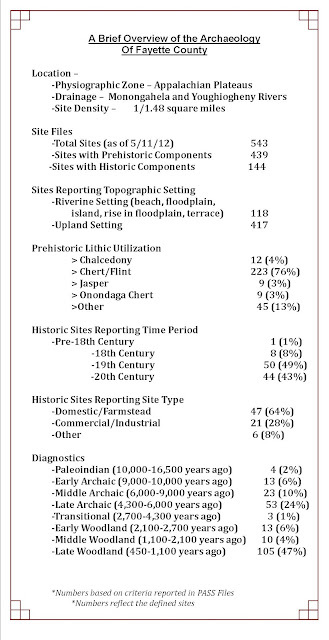 Both sites have been the subject of recent study, including a re-examination of the mortuary data at the Martin site (Goodman 2011), and general re-analysis and historical study of the Martin and Phillips sites (Means 2008, 2010). 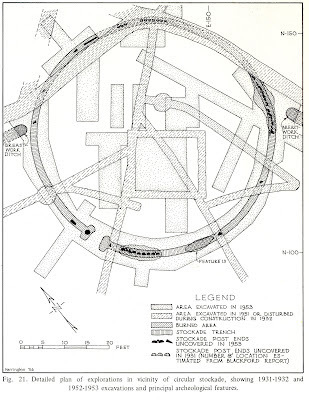 Using curated organic carbonized remains, radiocarbon dates were obtained from the Phillips site, suggesting that this circular village dated to the early fifteenth century A.D. Artifacts from both sites have been actively incorporated into a project for creating dynamic three-dimensional digital models of key artifacts from throughout the eastern United States http://vcuarchaeology3d.wordpress.com/ Systematic research and scanning of these collections demonstrates the value of curated collections for archaeologists and aids in our understanding of the archaeological past. Recent investigations into Monongahela villages were conducted at site 36Fa368, Gray’s Landing, in connection with the construction of a new lock and dam on the Monongahela River. 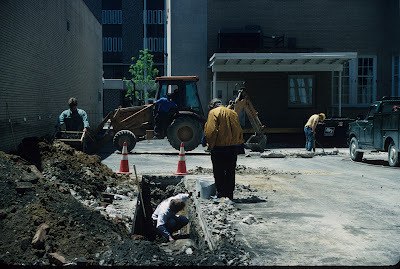 Archaeological and Historical Consultants (A & HC) under contract with the U.S. Army Corps of Engineers conducted archaeological investigations there in 1988. The study documented a Late Prehistoric period (ca. AD 1050-1630) hamlet of the Monongahela Culture occupied repeatedly, probably during the latter part of this period. This site type represents a variation on the better-known stockaded Monongahela villages, usually situated on hilltops and river terraces. The site contains several house patterns, numerous domestic features, and burials, in addition to a variety of other Monongahela artifacts. The analysis of the assemblage and the features suggests repeated occupation during the late fall and early spring by small groups engaged primarily in fishing and other riverine related activities. Comparison with the evidence from other Monongahela hamlets, indicated that the Monongahela settlement pattern included settlement types other than the typical circular stockaded villages. Seasonal movement to small camps on the river, and probably elsewhere, were performed for the purpose of exploiting specific seasonal food resources. Evidence of these Monongahela villages disappeared from the landscape by the time settlers began to arrive in the 1750’s. 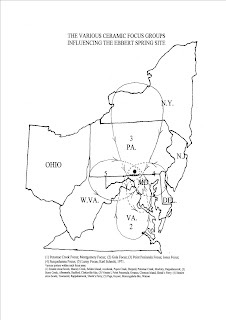 Christopher Gist surveyed the area for the Ohio Company, a Virginia based Land Company. The French occupied the western frontier and controlled the trade route south into the Louisiana Territory, which was then under French control. Approximately 160 Provincial troops led by Lt. Col. George Washington arrived at Great Meadows, Wharton Township on May 24, 1754. Washington had been ordered to the region by Governor Dinwiddie to support troops tasked with erecting a fort at the forks of the Allegheny and Monongahela Rivers, present day Pittsburgh. The French however, drove British forces out before Washington arrived and began construction of Fort Duquesne, forcing the British to relocate their fort. Washington had his own skirmish near Great Meadows with a small force of French which resulted in the death of Sieur de Jumonville, referred to by historians as “the Jumonville Incident”. Some have championed the notion that this skirmish was the opening “battle” of the French & Indian War. Great Meadows, as referred to as Fort Necessity http://www.nps.gov/fone/index.htm , served as a supply base and camp for the Washington’s troops which had been reinforced and numbered to around four hundred. After the British troops were forced out of their previous position along the Monongahela, Washington was instructed to build a road to support movement of heavy artillery and to erect a fort at the mouth of Redstone Creek, present day Brownsville. Troops were working on the western side of the road to Redstone when word was received that a large group of French and Indians were advancing from Fort Duquesne. Washington’s forces quickly returned to Great Meadows camp and hastily fortified their position with a circular stockade. On July 3, 1754 an attack by French forces ended with the surrender of Fort Necessity by the British and its subsequent burning by French troops. Archaeology conducted at Fort Necessity by the National Park Service exposed portions of the stockade, preserved by water. It was determined that the stockade was built from white oak, split in two, with the split, or flat side facing out. Logs ranged in size from 7 to 13 inches in diameter, ends were cut with axes prior to placement in a stockade trench. Excavations also provided information on how the fort was destroyed by the French. 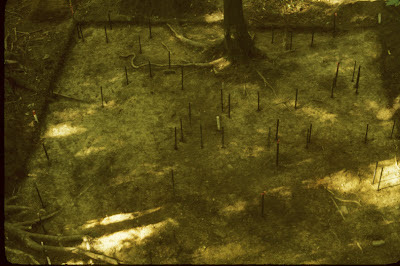 The archaeology indicated that about three-fourths of the stockade posts had been pulled out and stacked against the remaining section of stockade before the fort was set afire. Some logs were burned in separate piles, possible to destroy other supplies and prevent British forces from returning to the fort to salvage them. Most significantly, archaeology revealed the physical construction of the fort and stockade line which was not recorded in historic documentation and permitted accurate reconstruction for the benefit of future generations. Special thanks this week to Dr. Bernard K. Means who contributed with the images and text for the Martin and Phillips sites. We hope you have enjoyed this trip down to Fayette County and will take an interest in recording and preserving the archaeological sites in your community. These resources are Pennsylvania’s heritage and for all of us it is our window into the past. Help us to protect and preserve these archaeological resources which are crucial to our understanding of the past. 2011 Bare Bones: An Analysis of Mortuary Data from the Martin Site, Fayette County, Pennsylvania. Quarterly Bulletin of the Archaeological Society of Virginia 66:162-168. 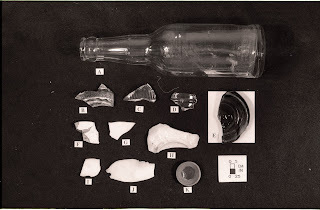 1957 New Light on Washington’s Fort Necessity; A Report on the Archaeological Explorations at Fort Necessity National Battlefield Site. Eastern National Park and Monument Association, Richmond, Va.
2008 Resurrecting a Forgotten Monongahela Tradition Village, the Phillips (36Fa22) Site. Journal of Middle Atlantic Archaeology 24:1-12. 2010 Two Archaeological Sites in Fayette County, Pennsylvania. 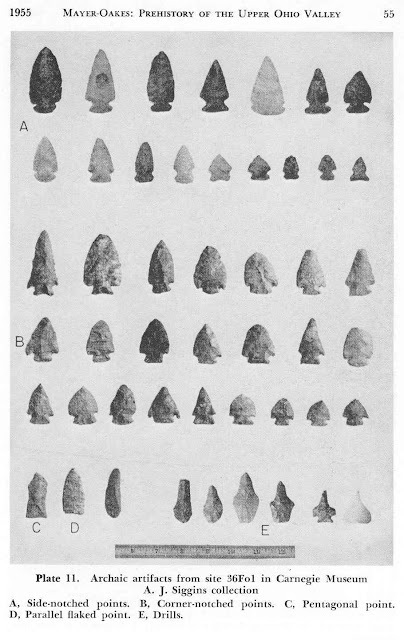 Pennsylvania Archaeologist 80 (1):1-16. This week we travel to Erie Country located in the extreme northwestern corner of Pennsylvania. The principal geological formations of Erie County are correlated to the Mississippian and Devonian Periods. The capacity of its two watersheds are about equally divided, one draining northward to Lake Erie and the other southward to the Ohio Valley providing interesting biodiversity to the region. Located in the Central Lowlands Province of the Eastern Lake Section and the Northwestern Glaciated Plateau Section, Erie has a population of over 280,000 people. Erie County was established on March 12, 1800 from land known as the Erie Triangle, a section of land claimed by both New York and Pennsylvania. There are only two principal cities in the county-Erie and Corry and two State parks-Erie Bluffs State Park and Presque Isle State Park. 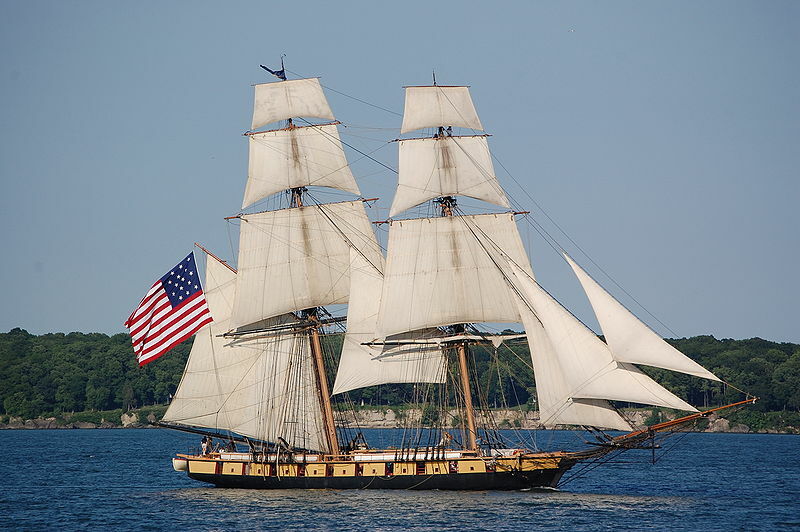 The U.S. Brig Niagara better known as the Flagship Niagara when in port can usually be seen at the Erie MaritimeMuseum in downtown Erie. 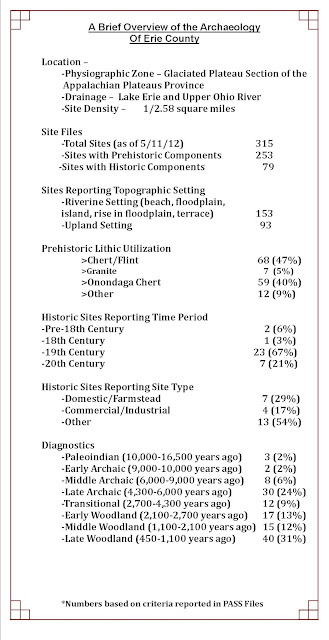 There are 315 recorded archaeological sites with more prehistoric sites than historic sites. 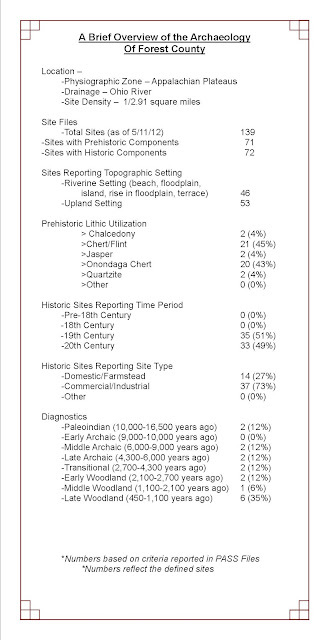 In quantifiable terms, Late Woodland sites dominate followed by Late Archaic sites. This is an unusual site survey statistic in that sites of the Late Archaic period generally out number all other periods. Early and Middle Woodland and Transition period sites follow the Late Archaic and the lowest density of recorded prehistoric sites are from the Paleoindian through Middle Archaic periods. As expected, regional predictive models for lithic procurement during prehistory show a predilection for glacially derived pebble cherts and the import of certain exotic cherts from central and northeastern Ohio. These latter types include cherts from the Vanport and Upper Mercer chert beds and are of excellent knapping quality that display a variety of colors and texture. Burial mounds are rare in the county. Two were reported and explored by Donald Cadzow in 1934 as part of the Pennsylvania Historical Commission’s expedition in northwestern Pennsylvania. Others were identified in adjacent Crawford and Warren counties about the same time. 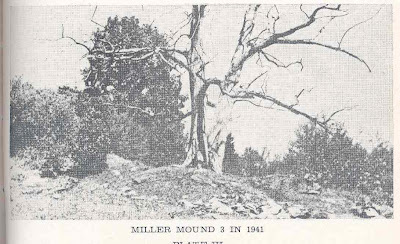 One of the Spartensburg boulder mounds, Miller Mound 3, can be seen above as it looked in 1941. Temporally and contextually these mounds are attributed to the Middle Woodland Period- Squakie Hill Phase with a stone and earth construction. Accordingly, these mounds were about 25-30 feet in diameter and about 6-8 feet high and are situated on prominences overlooking the valley bottoms. The boulders inside these mounds are large and heavy ranging from 1 to 3 feet in diameter and weighing many pounds. The cultural contents of each mound included cremations placed at the bottoms of stone lined pits with few surviving artifacts. Occasionally, late stage ovate-shaped bifaces and flake knives are present that demonstrate a temporal association with the Middle Woodland period. Many of the prehistoric archaeological sites of Erie County are only known from small privately held surface collections and the professionally conducted excavations undertaken by the Carnegie Museum in Pittsburgh and The State Museum of Pennsylvania in Harrisburg. Many of these collections are curated by these institutions and are generally available to researchers doing work in the areas where these collections were originally found. Some of the earliest archaeological studies in Erie County occurred during the Depression Era. 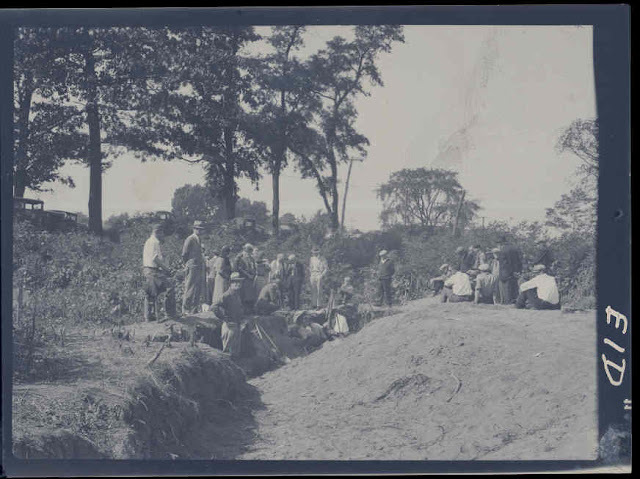 An expedition by the Pennsylvania Historical Commission in 1934 explored a Native American site of the Historic Period located at East 28th Street in the City of Erie. 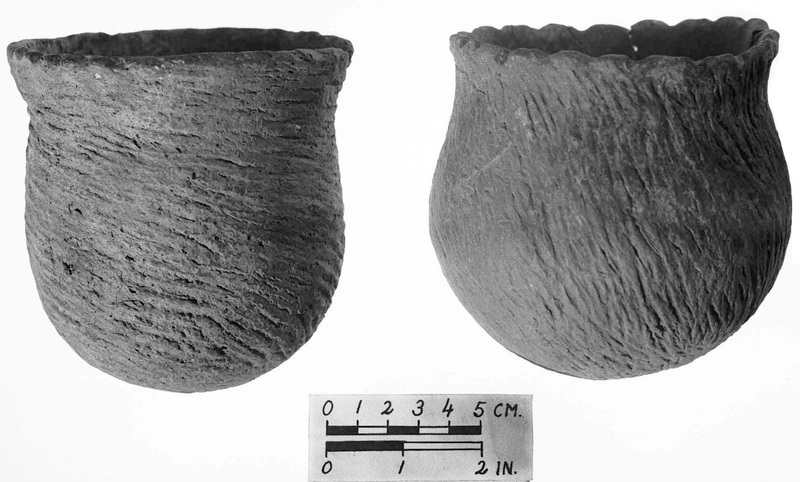 The team led by Donald Cadzow uncovered pottery vessels, and trade objects that indicate the site may have been used during the early to mid 17th century by the Eries or a similar Iroquoian tribal group of the Lake Erie region. 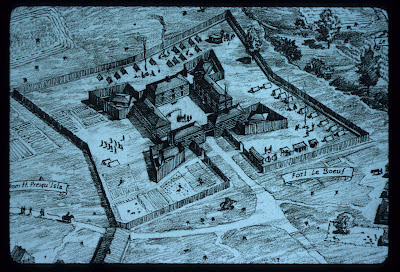 Excavations at Fort Presque Isle on the property of the Soldiers and Sailors Home and at Waterford where Fort LeBouf, the French and Indian War Period military fort that was built by the French in 1753 were explored by the Archaeological Division of the Frontier Forts and Trails Survey. 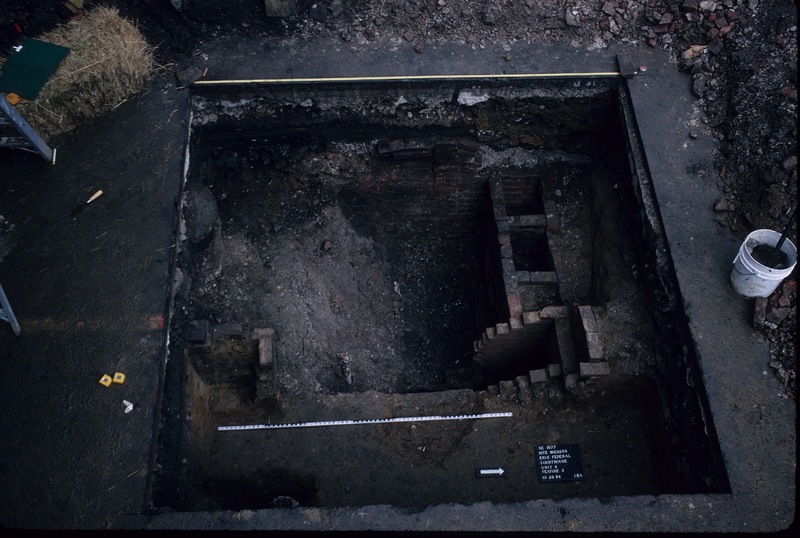 One of the blockhouses was uncovered at the former site and charred logs and timbers were systematically revealed at the latter. In certain areas along the 18th century trail that connected Presque Isle and Le Bouf workers found remnants of a corduroy road where sections of logs were laid side-by-side over otherwise impassable areas to facilitate the transport of military goods and soldiers. Moving on to the more recent archaeological history of Erie County we visit the Erie Federal Courthouse site (36ER256) investigated in 2002 conducted by The Louis Berger Group, Inc. The project was part of a larger undertaking by the City of Erie to renovate the Erie Federal Complex, a multi-faceted renovation and new construction involving buildings, underground parking area and associated facilities. The principal methodology employed was real time monitoring whereby trained archaeologists work in tandem with the construction crews as the project progressed. Results of the project were rewarding in that two aspects of 19th century living were defined: an early period or “Era of Agrarian-Industrial Transformation (1800-1860) and a later period or “Era of Heavy Industry” (1861-1919). 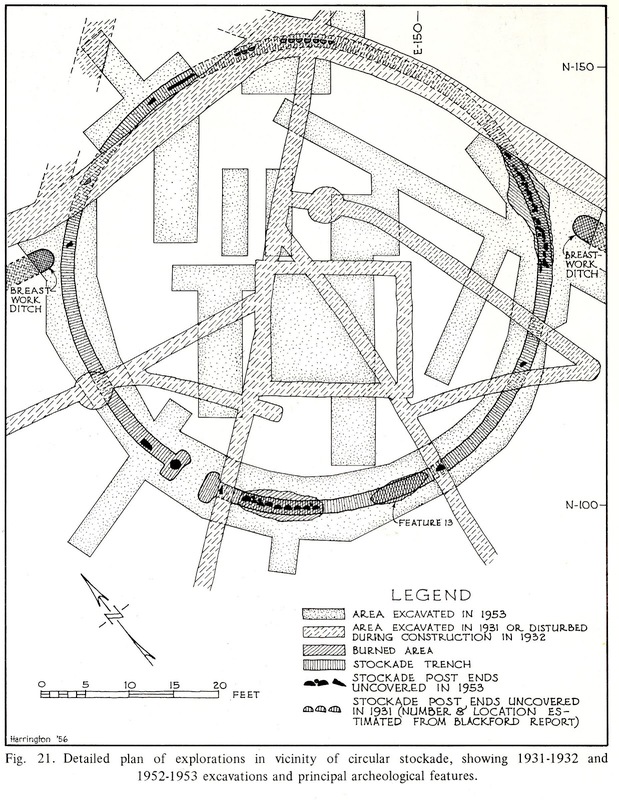 Each of these periods is characterized by specific artifact patterns and different architectural classes and archaeological features such as shaft features, zones of architectural debris, outbuildings and buried pipes associated with residential and specialized structures where light industry and craft-related activities took place. With the use of historical documents (i.e. tax records, deeds etc. ), it was ascertained that the area was formerly used by small business enterprises although little information pertaining to such activities was obtained during the actual monitoring operation. As we have seen through this brief tour of Erie County, the archaeological record spans more than ten thousand years in this part of northwestern Pennsylvania. Join us again in the following weeks as we continue our presentation of “Preserving the Past for the Future” in the great state of Pennsylvania. This week we travel to Elk County located in the “Pennsylvania Wilds” of northern Pennsylvania. The county forms 832 square miles in the eastern section of the High Plateau Section of the Appalachian Plateaus Province of Pennsylvania and has a population of about 32,000 people. The principal water system is the Clarion River and its tributaries that form part of the Upper Ohio Valley. A small, eastern section drains to the Susquehanna’s West Branch Valley via the Driftwood and Bennetts branches of the Sinnemahoning Creek. Established in 1843, Elk County was formed from parts of Clearfield, Jefferson and McKean counties and its namesake is the Elk, a majestic four legged creature that still roams the more isolated parts of the county. Two state properties, Bendigo State Park and Elk State Park are also located in its forested woodlands and are popular outdoor facilities especially during the warm summer months. A large part of the Allegheny National Forest is located in the western section of Elk County which holds favor to hikers, hunters and snowmobilers alike, at various times of the year. Elk County has a long prehistoric record extending back to the Paleoindian period when much of the Northeast was experiencing a cool dry climate filled with a mosaic-like forest of spruce-pine and hardy deciduous hardwood trees. In “The Story of Ridgway” by Harry Hill (1964), mention is made of two fluted point discoveries near the mouth of Bear Creek, attesting to the site as a hunting station for Native Americans of the earliest times who went there before the climate turned warmer and drier and the forest cover approached modern standards. The Archaic Period in Elk County is represented by sites containing side-notched and corner notched points made from river drifted pebbles principally of the gray mottled Onondaga and other glacially derived cherts of the Allegheny and lower Clarion River Valleys. 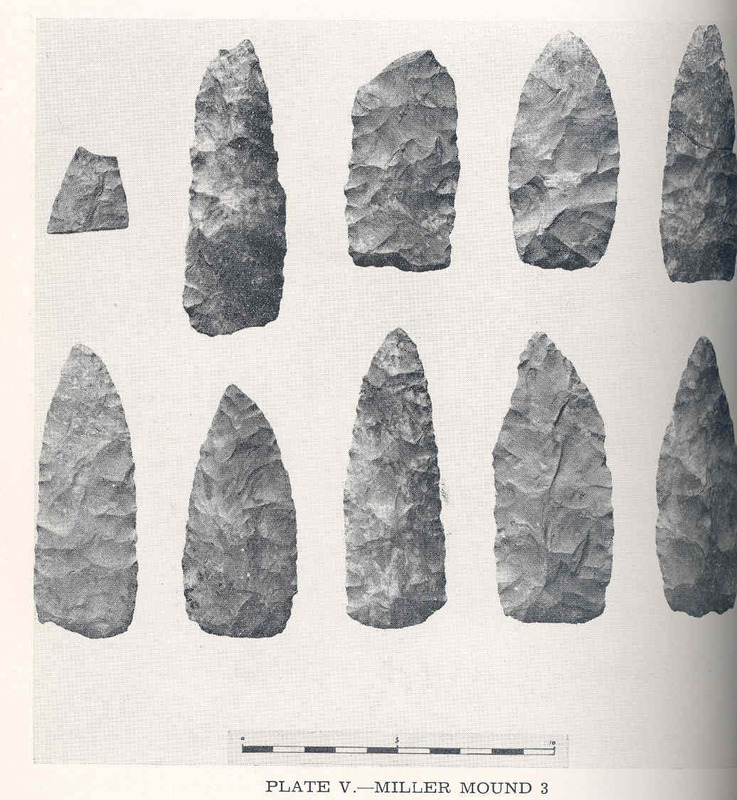 A dark grayish brown to black colored marine chert of the Vanport member was also a lithic material favored by Archaic hunters and gatherers for tipping their atlatl dart shafts. Typical forms were of the Brewerton side and corner notched, although stemmed points leading into the Woodland period were also made and used by the Archaic people who once lived in this region of northern Pennsylvania. As time went on native populations grew in size. By the Late Woodland Period we see a rise in site density throughout the Clarion and Sinnemahoning drainages where settlement locations seem to have focused on upland and riverine settings. 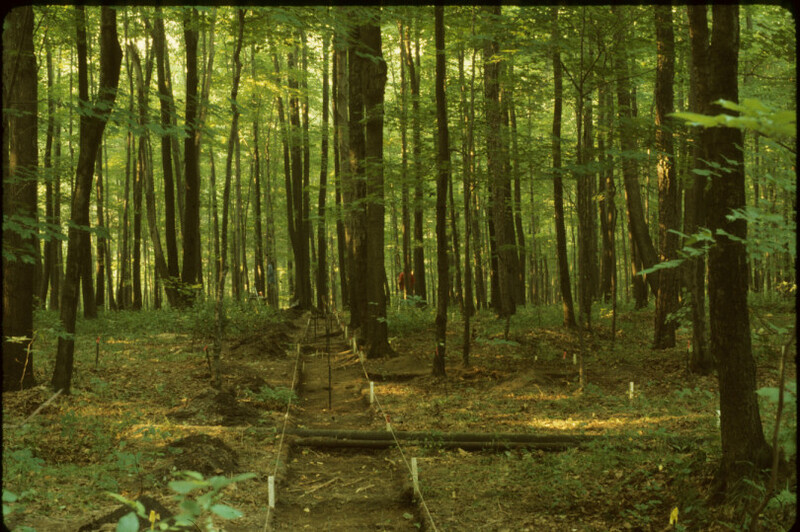 Archaeological research at one of these sites, the McKinley Earthwork, was carried out in the mid-1970’s by the Pennsylvania Historical and Museum Commission under special contract with the Allegheny National Forest (Smith and Herbstritt 1976). The site is one in a cluster of three-dimensional earth rings constructed by the McFate Culture sometime in the 15th century. Its location seems to suggest that it was a place of refuge selected for defense where a palisaded wall encircled an oval-shaped area measuring 315 feet by 230 feet. Archaeologists discovered that a ring of earth averaging about five feet in width and about two feet in height was mounded up to support a wall of upright posts. It is estimated that the wall was about 15 feet high and spanned the entire perimeter of the site. Interior postmold stains indicated the presence of dwellings and internal pit features, however, their actual size and function was not wholly ascertained owing to the time constraints of the field project. The principal artifact classes recovered were confined to stone and ceramic objects. 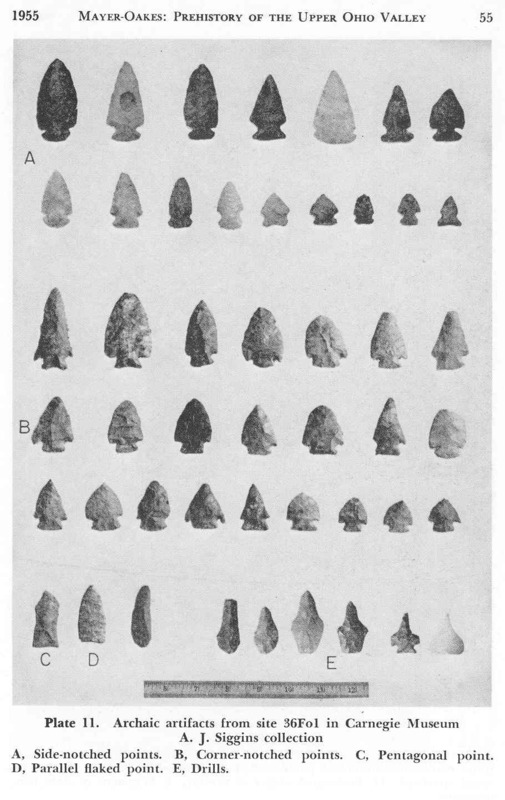 Triangular points and utilized flakes made from locally derived pebble cherts were the dominant stone tool types which suggest that hunting was a much practiced activity at the site. Points were essentially isosceles in shape with straight or concaved bases that appear generically Iroquoian in their execution. 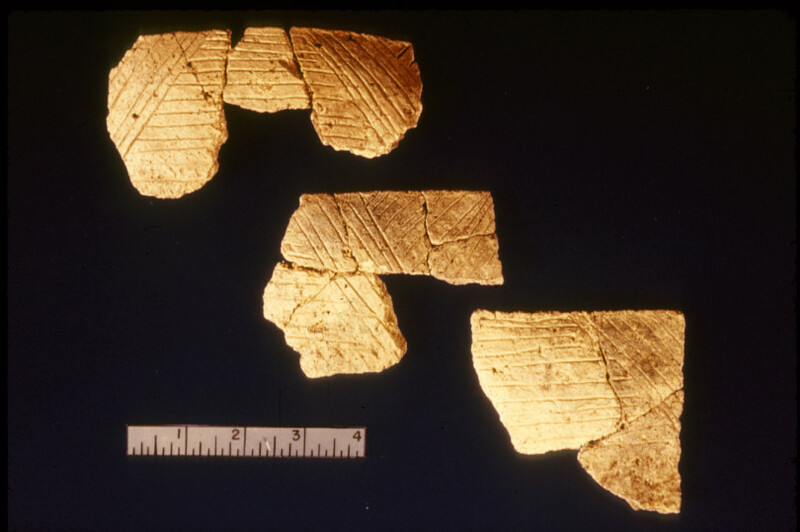 Ceramic fragments characterized by the shell tempered McFate Incised type, indicate cultural contact with groups further west and north in the French Creek and Chautauqua Creek drainages of Pennsylvania and western New York, respectively. The archaeologists also found evidence of smoking technology at the earthring site. Stem and bowl fragments of out-flaring trumpet shaped pipes of fired clay and a small sand-tempered bird effigy pipe bowl fragment indicate Iroquoian influence from northern Pennsylvania and/or western New York, as well. Certain of the trumpet shaped pipes displayed exceptional skill in their manufacture that implies craft specialization within the site’s Native American population. Moving on to the Historic Period we find that there are 63 recorded sites that are listed under this site/period category. 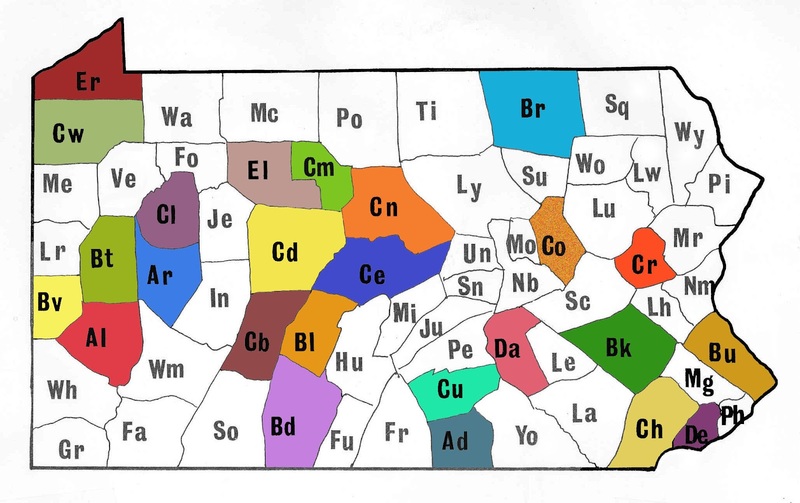 The predominant type numbers 47 Commercial/Industrial with most as “petroleum related” and within the boundaries of the Allegheny National Forest. Among the other Historic Period sites listed is the Loleta Park site (36EL105), a sawmill town dated to the 1898-1913 period. There, two industrial and 11 domestic locations were selected for specific investigation by the National Park Service (Frye et al. 1993). Some of the discoveries at 36EL105 related to the Civilian Conservation Corps (CCC) days of the last century when buildings were constructed on the site and where several of their remnants now survive. The recordation of two water dams were completed during this study that also relate to the CCC component. We hope you have enjoyed this brief journey into the prehistory and history through archaeology where interesting information continues to contribute to our ever-growing body of knowledge about the people and their material culture from a part of Pennsylvania where the Elk still roam. 1993 A Cultural Resource Examination of the Loleta Recreation Area, Millstone Township, Elk County, Pennsylvania. Report submitted to USDA Forest Service, Allegheny National Forest by Archaeological Services Consultants, Inc.
1964 The Story of Ridgway. Ridgway Publishing Company. 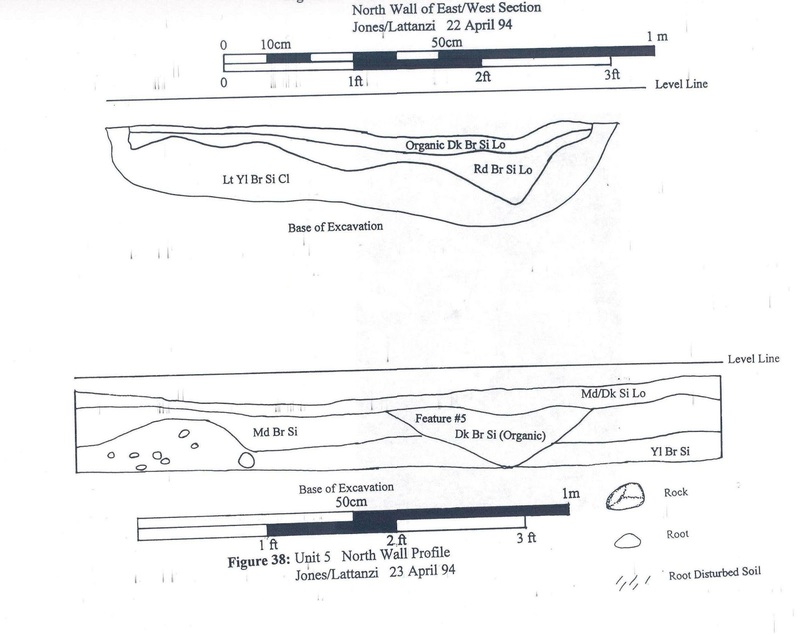 1976 Preliminary Investigations of the Prehistoric Earthworks in Elk County, Pennsylvania. Report submitted to the United States Department of Agriculture Forest Service, Allegheny National Forest by the Pennsylvania Historical and Museum Commission.